What is a Principal Suite? 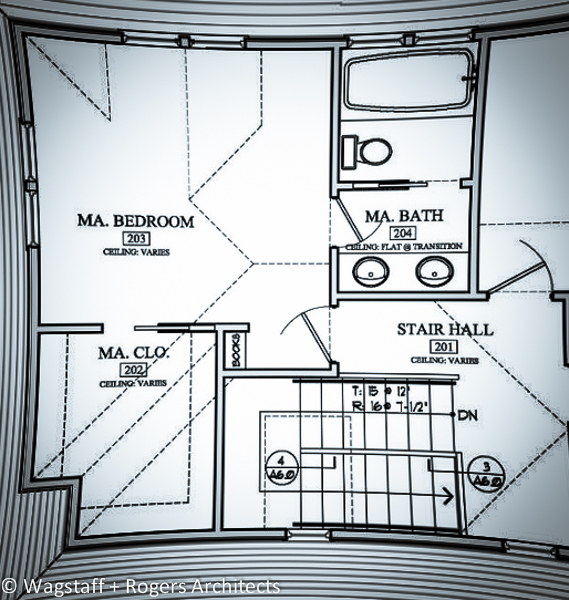 Master Bedroom? If you have lived in a house built after the early 1980's you probably know what I mean. 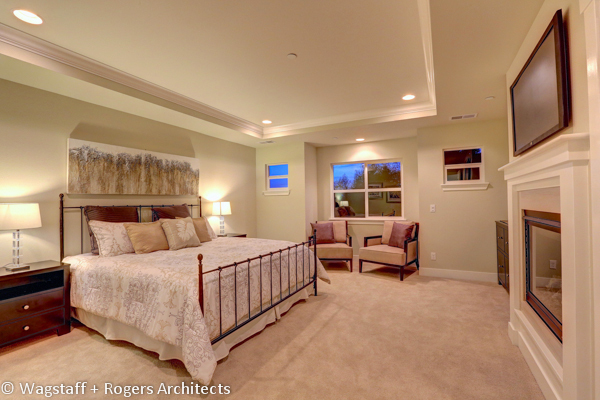 Wagstaff + Rogers Architects is considering shelving the age-old term of Master Bedroom as a room name. Have you looked at a set of architectural or design drawings lately? Was it hard to find the Master Bedroom? Its NOT there! And, it's not because there is generally more than one private suite in a home these days or it's safely tucked away into an area that nobody notices. Its not behind a hidden door. Is it adjacent to the Princess Suite where one lucky kid has a separate closet and a private bathroom? None of the above. Really, whether or not you agree or disagree with the term, it's falling out of style because it's becoming more politically correct to no longer refer to it as a Master Bedroom. However, we still desire the private respite/ retreate that comes with closing the door to our own suite; even in our own home to lock out the chaos associated with busy life. The motivation for the switch is due to the negative connotations with the word "Master" and how it may provoke a reaction on a gender or a racial basis. Realtors, designers, architects and contractors have been looking for a replacement for some time and during a recent discussion in the office we have come up with an alternative term. You may have heard it as an Owners Bedroom or Owners Suite or even as simple as the Mastre Suite. But, we believe it's not going to be long until you the word "Master" to describe the largest bedroom in the house is terminated (say this in your best Arnold Schwarzenegger accent) from the building industry all together. Over the last few years we have noticed the trend to leave out the old term and have started to take up an alternative notation. The new term gives the same suggestion as the old one, and still gives a sense of being distinguished similar to the regular term of the "Master Bedroom". Maybe the new term will add some value with an upscale notion. What do you think? The dynamics of our language is always evolving. The same is the case with words in the architects dictionary. Maybe it will catch on and be a interchangeable term such as "Commercial Style" or "Gourmet" kitchen did and we will retain the normal everyday word. Maybe we will see it as a social change in terminology adopt it without any fuss. 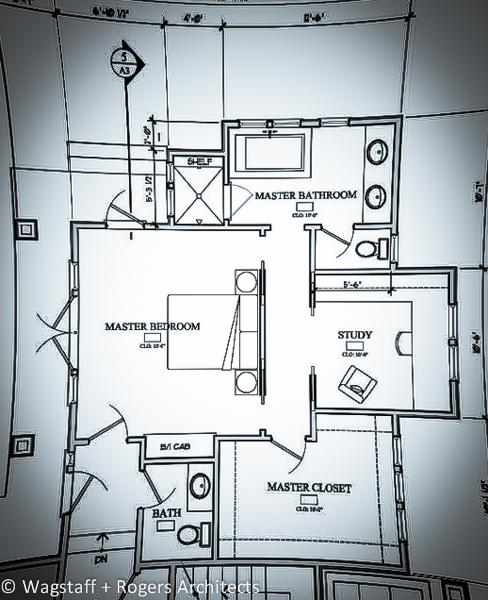 The new trend we are currently seeing within the last couple of years in single family homes is to add a second Suite to the upper or lower floor of new homes or even remodels. The idea is to have a place next to the kids as they grow up and move to the lower floor as the owner becomes more elderly. Look for a possible blog on that topic to come. Let us know if you have any questions or comments. If you have a suggestion for a future topic leave your idea in the comments area. I vote for Principal Suite, because it is most gender-open. Since most of our US & CA homes are heated & cooled with a central Air handler moving a lot of air through ducts from the gas-fired furnace or air conditioning system, the Principal Suite presents a special challenge. When the door is closed, there may not be a sufficient path for conditioned air to return to the Air handler from the 4 to 8 or more registers that are on the other side of this door. Therefore, a secondary Return Air duct or a Jumper duct may be needed. Your Home Energy auditor can tell you if this is a problem by measuring the pressure drop across your Suite door. Or you can tell simply by almost closing the door and feeling how much air is trying to squeeze through the opening when your Air handler is operating. Very insightful Peter. Thanks for tying in the Energy use, conservation and home energy audits blog from last month. I like the term Principal Suite. It reflects well on the design of these bedrooms and their amenities. I also like Prince or Princess suite for the children's rooms. Very fitting to describe some of the new Marin homes.